Homeschooling parents wear many hats. Primarily, we are our students’ teacher and facilitator. We may also play roles such as cafeteria lady, school janitor, or bus driver. One position we may not think of is a guidance counselor. It is particularly important that we understand how to fill the role of guidance counselor once our teens reach high school. I received free access to UniversityReady in exchange for my thoughts on the product. This post contains affiliate links. The opinions expressed are my personal, honest opinions. I was not required to post a positive review. Read my full disclosure policy for more details. As a homeschooling parent, you’ll perform many of the duties of a guidance counselor naturally and without much extra planning or research. Others – particularly the college application process – can seem more daunting. In the early years of high school, a guidance counselor may help teens choose a vocational or college prep track and select the courses needed for graduation or determine if AP courses are a good option. As students reach their junior and senior years, a guidance counselor can offer more focused assistance depending on the student’s interests and aptitudes. Helping teens choose their high school courses is one job of a guidance counselor that most homeschooling parents fill with ease. Because we know our kids so well, it’s easy to help them capitalize on their interests and talents. Guidance counselors may also work with teens to help them develop strong study skills – or allow them to learn and develop the skills on their own through trial and error and natural consequences. As homeschooling parents, we can help our teens prepare for college and the workforce by allowing them the freedom to set their own schedules with accountability guides in place and by enforcing deadlines. A guidance counselor also helps students prepare for life after graduation. For students who are on a college prep track, a guidance counselor assists with making sure teens know which tests they need to take and when to take them. She can offer guidance on test prep options and help a student with the college application process. A guidance counselor can advise students and their parents on financial aid and scholarship options and guide them through the application process. For students on a vocational track, guidance counselors can help with career planning options. They can direct students to career aptitude and personality assessments, offer guidance on military possibilities or suggest volunteer or internship opportunities. College and career planning is an area where things can get dicey for homeschooling parents. Finally, a high school guidance counselor’s role is to help students successfully navigate high school and develop the skills needed to transition successfully to college and the workforce. As homeschooling parents, this can involve teaching our teens the life skills they will need no matter what they do after high school, choosing the right college, or looking at alternatives to college. As I said, homeschooling parents will fill some of the guidance counselor roles naturally and without much further planning. However, sometimes all of the things we need to do to help our students prepare for college or career can be overwhelming. That’s when you might consider outsourcing. Earlier this summer, Matthew Bullington, President, and CEO of UniversityReady contacted me. Matthew and I worked on a project together a few years ago, and I’m so happy he thought of me when he wanted help getting the word out about UniversityReady because it’s perfect for where we are as a homeschooling family. UniversityReady is basically like having your own high school guidance counselor online. Matthew is a professional college consultant who has worked in the homeschooling community for the last decade or so. He offers private guidance counseling services, but that can be cost-prohibitive for many single-income homeschooling families. So, Matthew culled the information that he shares with his private clients down to what can be applied to most students and created UniversityReady. Megan and I did the private planning session. It’s a one-hour, live, online meeting with Matthew to help with college or career planning. UniversityReady isn’t just for teens who plan to attend college. As of now, college isn’t part of Megan’s plans, so Matthew sent her three personality assessments to take. I love stuff like that! The assessments identified her strengths and weaknesses, and she and Matthew discussed those in light of her interests. He told her that our strengths aren’t always our passions, so we need to look at both. We don’t know anyone who does that kind of work, but just a day or two later talked to someone who has a friend who runs a pit bull rescue! He gladly gave Megan the lady’s contact information. I don’t think that would have even been on our radar at that time if we hadn’t just had a private planning session. UniversityReady is your homeschool high school guidance counselor, available to help teens navigate all the big decisions about college prep and career planning, test prep, financial aid, and more. What guidance counselor roles make you feel stressed? Is the stress of homeschooling high school getting to you? Join us for a free, live, online webinar, Monday, September 24, 2018, at 2:00 p.m. (ET)! It’s free, but you need to register to attend. A couple of months ago, I joked about a life-changing event – the fact that I finally gave in and tried Walmart’s pick-up service. You know, the deal where you order your groceries online and pick them up at the store (delivered to your car and everything!). I was joking, but it has changed my life pretty dramatically – and one of the most significant ways was one that I would never have dreamed. You see, one week while she was loading my 30+ pounds of cat litter (not an exaggeration), one of the ladies who brings the groceries out was telling me about her Litter-Robot, a self-cleaning cat litter box. Oh. My. Word. Y’all. Life changing. I received a free sample of this product to review. This post contains affiliate links. The opinions expressed are my personal, honest opinions. Read my full disclosure policy for more details. Although I had thought about getting a self-cleaning cat litter box and had researched them before, I had never heard of the Litter-Robot. Penny – because we’re BFFs on a first-name basis now (exaggeration) – described the Litter-Robot and exactly how it works, stating that it’s kind of expensive, but totally worth it. I think I heard the Hallelujah Chorus when the Litter-Robot arrived. Penny’s enthusiasm got me curious. So, I came home and immediately started researching. I read lots of Litter-Robot reviews. Two of my biggest concerns about automatic litter boxes were addressed right off the bat (and confirmed what my new BFF had already told me). The Litter-Robot uses basically any kind of clumping cat litter, and it doesn’t require special liners. The drawback to most of the automatic litter boxes I’d looked at is that they are expensive initially then you have to keep buying special (expensive) litter and liners. The cats were pretty excited, too. With the Litter-Robot, I use the same litter I was using and I line it with inexpensive 8-gallon trash bags. You can even use plastic grocery bags if you choose. They’re a little snug, and I prefer the trash bags because they have a drawstring, but I like knowing I could use the shopping bags in a pinch or to save more money. The folks at Litter-Robot do sell a biodegradable waste drawer liners if you’re concerned about using plastic. Yes, I did, but I was already planning on buying one when my husband’s bonus time rolled around if I couldn’t review it. And, if the company showed up at my door today and demanded I return the Litter-Robot, I’d go out and buy a new one tomorrow. You know, after I dressed the wounds from the savage battled that ensued when they wrestled the first one away from me. I used to have a reminder on my phone to scoop the litter boxes. Every three days, the reminder popped up, and I would do the thing I hate most about being the crazy cat lady – scoop the litter boxes. I scooped three litter boxes every three days. I hated it. With the Litter-Robot, I change the waste drawer liner about every other day. And, that’s with four cats using it. I went from scooping three litter boxes every three days to changing one bag in one box every other day. And there is no scooping at all! See? Life-changing. No more reminders on my phone. Instead, I get a notification from my buddy, Bob. Bob is our Litter-Robot. See, there’s an app with the Litter-Robot III Open Air with Connect. You can control the litter box remotely, and it sends you notifications for things like when the waste drawer is full. Not us, though. No, we’re a little weird. (Shocker.) I named our Litter-Robot Bob, and he has taken on a personality of his own. Everyone calls him Bob and we kind of refer to him like another family member. Oh, Bob texted. The waster drawer is full. Hang on. I’ve got to take care of Bob. The Litter-Robot also uses less litter than traditional litter boxes and keeps the litter cleaner. Because it cycles after every use, the clumps are dumped into the waste drawer right away. If you’re currently scooping cat litter, you know how the yucky litter mixes with the clean litter after a while no matter how often or how thoroughly you scoop. Then, you have to dump it all and start over. I’ve been using the Litter-Robot for two months now. Although the owner’s manual does state that you may have to completely replace the litter from time to time, I’ve yet to have to do so. So far, I’ve only had to top off Bob’s litter when I empty the waste drawer. And, I’ve gone from buying 30 pounds of cat litter every other week to buying it maybe once a month. The Litter-Robot works on weight sensors. Cats need to weigh at least 5 pounds for it to auto-cycle. (Kittens can use it with the auto-cycle feature turned off.) It cycles 7 minutes after a cat exits the box. The time can be adjusted, but 7 minutes works fine for us. That allows the litter time to clump. Then, the box cycles, dumping the used litter into the waste receptacle. The waste drawer has a carbon filter system designed to trap in odors. Plus, it’s designed to prevent mold growth. I used to have three litter boxes, and each one had its own air freshener (or two!). They still stunk. Because of its size (the Litter-Robot is about the size of an end table), the need to have access to a power outlet, and the need to have it accessible to the cats 24/7, the Litter-Robot is in our living room. Right next to my beautiful desk. When Brian first saw it, he was a bit appalled at the thought of having a litter box in the living room. Even I admitted that it wasn’t my first choice of location. However, because it controls odors so well, it’s not been the problem we were afraid it might be. I mean, if I’m at my desk working and one of the cats uses the box, it can be unpleasant for a couple of minutes. (Especially with Oliver. I don’t know what goes on in that cat’s intestines!) It’s not a magic litter box. However, other than that, there isn’t a noticeable litter box smell. Okay, you may think that my comment that the Litter-Robot keeps my whole house cleaner is an exaggeration, but I assure you that it is not. I used to have cat litter scattered all over my bathroom within a couple of minutes of vacuuming all the time. Finn and Oliver tracked litter all over the bedroom where we kept them when they were little. And, the landing at the bottom of our stairs to the basement? More litter. I didn’t realize how much time I spent vacuuming scattered cat litter until I got the Litter-Robot and didn’t have to do it anymore. It feels like I have so much free time on Saturdays now because of how much quicker I can vacuum. The Litter-Robot has a rubber mat that catches most of the litter as the cats exit. We have a couple of, well, heavier cats, so I got the optional steps for our box. They catch most of the litter that the mat doesn’t collect. That leaves trace amounts that wind up just at the opening of the box. It’s so much easier to keep the house clean now! One big concern I had when we got the Litter-Robot was transitioning the cats. I didn’t think the kittens would be a problem, but I worried about our skittish older cat. We’ve had cats who flat-out refused to use regular covered litter boxes, so I wasn’t sure what my clowder (that’s a group of cats) would think about climbing into an automatic litter box. The Litter-Robot owners manual includes suggestions for helping your cats transition to the new box. Because of space limitations, I wasn’t able to put Bob next to any of the old boxes, but my cats are pretty curious. I was counting on their curiosity, along with the fact that my scooping days were over as soon as the Litter-Robot arrived, so their other boxes weren’t going to be attractive options for very long. Oliver, the adventurer, was the first to use it within just a day or two of getting it. For a while, I thought it might be his personal litter box. Sassy was the next one to give it a go (see what I did there? ), followed by Finn. I kept the auto-cycle turned off but made sure the cats were around when I ran a cycle so they could see what it did. That really wasn’t a problem. They were very curious about Bob. Luna, my skittish older cat, was the lone hold-out. I apologized to the family and a couple of friends for our disgusting litter boxes, but I refused to clean them in my effort to force Luna to use the Litter-Robot. Then, I resorted to catnip. Finally, I threw all the suggestions out the window (figuratively) and did something that no one would recommend. I made Luna go into the Litter-Robot so she could see it was just a litter box. She didn’t appreciate me. But, it worked. The next day, I put her in the box one more time. She was much less nervous the second time. Then, I took all the other boxes out of the house. I fully expected to find protest poop in the bathroom floor the next day, but I didn’t. To this day, I have only actually seen Luna use the Litter-Robot once. She uses it, though. Very stealthily. To say that I love the Litter-Robot is putting it mildly. Not scooping three litter boxes every three days makes me one happy crazy cat lady. 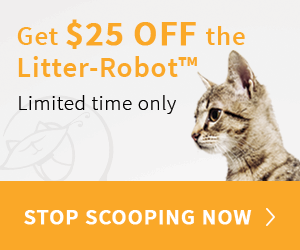 You can save $25 on the Litter-Robot by clicking through any of the links on my site. The Litter-Robot comes with a 90-day money-back guarantee and an 18-month warranty. The cats would recommend it, too. They all seem to appreciate having a fresh litter box every time they go. Check out the Litter-Robot website. They have answers to tons of questions about how it works, the advantages of using it, and how to make the switch. I was having such a hard time finding a good homeschool health curriculum that it was actually on my to-do list to either write or piece together my own this year. I’m so glad Apologia beat me to it! I’m pretty sure my teenager is, too. I received a free sample of this product and payment for reviewing it. I was not paid to provide a positive review. This post also contains affiliate links. The opinions expressed are my personal, honest opinions. Read my full disclosure policy for more details. I was ecstatic to discover Apologia’s new health course, Exploring Creation with Health and Nutrition. Megan and I agreed that not only did it look like it’d meet our needs for high school health credit, but it also seemed interesting. Apologia’s Exploring Creation with Health and Nutrition is not only teen-approved, but it’s also my teen’s favorite subject. And, not just this year. It’s her all-time favorite in her entire homeschooled existence. It isn’t the lesser of the evils. She enjoys it! That probably tells you all you need to know and I could end my review right there. But I won’t. Because, you know, I like to gush about the curriculum we love. Let the gushing begin. What Is Apologia’s Homeschool Health Course? Exploring Creation with Health and Nutrition is complete one- to two-semester high school level health course written from a Christian worldview. A beautifully-illustrated (except for the frostbitten toe – that’s kind of gross) hardback book and spiral-bound student notebook guide students through the course. It’s made up of 15 modules with a suggested schedule of three days each week for a total of 34 weeks. I love the topics covered in this course! It focuses not just on physical health, but also on emotional, mental, and spiritual health. Due to several mental health issues we face in our family, I am passionate about removing the stigma associated with mental illness so that people treat them with the same dignity and respect afforded physical illnesses. Apologia’s health course tackles mental health issues openly, honestly, and respectfully. If you’re a little hesitant about covering the topic of sexual reproduction, don’t worry. Apologia saved it for last. That allows you to skip it if you don’t feel that your student is mature enough for it, or work up your personal fortitude to cover the topic. What’s So Great About the Homeschool Health and Nutrition Student Notebook? I’m not sure who loves the student notebook more – Megan or I. Why would I, the parent, care about the student notebook, you ask. Three words: suggested daily schedule. Yes, the entire schedule for the year is written out for me. No guessing. No counting pages. Just, “Hey, Megan, it’s Week 4. Pick three days this week to work on the Week 4 activities.” Boom. Lesson planning is complete. Apologia includes the module exams in the back of the student workbook. The answer key for the student workbook is available online, along with other course extras, with the details for accessing located in the textbook. You can visit Homeschooling 101 to download a free health activity book that contains samples from Health and Nutrition if you want to check it out and get a feel for what the course is like. Would We Recommend Exploring Creation with Health and Nutrition? Without a doubt. Well, unless you’re a secular family. If you are, this course probably isn’t for you, but if you’re a Christian family with students in 8th-12th grades, Megan and I wouldn’t hesitate to recommend this homeschool health course. Megan says it’s interesting and fun. She said the questions in the student notebook are great for making sure that you read and comprehended the material without being so rigorous that they make you feel stupid. The projects are thorough and engaging without being time intensive and mentally exhausting. They encourage students to get to know themselves through activities such as food and sleep logs, learning to set boundaries, and beginning an exercise routine. They even encourage teens to do something they’ve never done before such as minor car maintenance or learning to play an instrument. I like Exploring Creation with Health and Nutrition because it meets our needs for a high school level health class and I didn’t have to write it myself. I love Exploring Creation with Health and Nutrition because Megan loves it. She is engaged and excited. What more could you ask for from homeschool curriculum? If you’ve got high school students, I encourage you to add this high school health course to your curriculum this year. 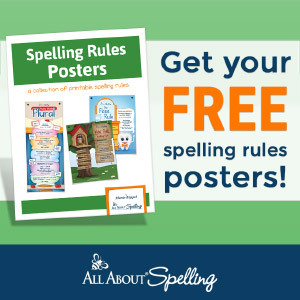 You can purchase it from Apologia’s website or other homeschool curriculum vendors who carry Apologia products. You can also enter to be one of two winners who will receive the Exploring Creation with Health and Nutrition basic set. Follow the directions on the RaffleCopter widget below to enter. This giveaway is administered by Apologia and hosted on multiple blogs.